4 Myanmar National League titles, 1 Myanmar Football Federation Cup and a SEA Games bronze medal under his belt within 8 years after turning professional, Yangon United & Myanmar’s Captain Yan Aung Kyaw has been regarded as the best holding midfielder Myanmar has ever produced. Although the 27 years old is in his career prime, he already has great ambition and vision to improve his country’s football after retiring. So what is his football philosophy? What does he think about Myanmar’s chance in the upcoming 29th SEA Games? And his football dream for Myanmar as well as himself? Junpiter Futbol catch up with the outspoken player exclusively. PF: You have been regarded as the best holding midfielder Myanmar has ever produced, what do you have to say about that? YAK: I feel flattered. Honestly, I do not think that I am the best holding midfielder. There are actually many other players who play better than me. In fact, I think that my younger brother, Kyaw Min Oo, who played in the FIFA U20 World Cup 2 years ago, a much better midfielder than I do. Unfortunately, my younger brother is injured at the moment, hence he is not picked to join this trip. JPF: Captain “Ice”, that’s what you are also known in Myanmar, how this nick came about? YAK: Haha… it is just a nick. I got this word “Ice” from a song and I think it is cool so I use it. No special meaning to it actually! I use that as my Facebook name as well! JPF: What is your football philosophy? YAK: To me, football fully represents unity and family. It is a game that we cannot play individually – it has to be a team game. Even if we are enemy off the pitch, when we are together in the team, we are more than just teammates, we are friends. And personally, prior to every game, I will try to keep myself at peace so that I can focus and do my best. JPF: Yangon is currently lying on the 3rd position behind Yadanarbon and Shan United with 6 more games to go, what are the chances of you guys overtaking them? YAK: Everything is possible in football but I think it will not be an easy task for the current table leader Shan United. The remaining fixtures for Shan are all the big teams therefore it could be a difficult task for them to lead all the way. My guess is it will be either Yadanarbon, Yangon or perhaps another team. Of course, I hope it will be Yangon. JPF: Tell us more about your life in Yangon United and your retirement plan? YAK: Currently, I am enjoying my time with Yangon United and I enjoy living in Yangon where my family are all well taken care of. The team is working hard to be the best team and it feels good to be part of this. As for my plan after my retirement, I hope to be a coach at a football academy rather than a football club. I want to use my knowledge and experience to help nurture more younger players for the country. JPF: We are seeing a much stronger Myanmar National Team on international stage these days. Not forgetting Myanmar U20 also qualified and played in the FIFA U20 World Cup 2 years ago in New Zealand. In your opinion, what is the critical factor contributing to these achievements thus far? YAK: We have seen a rise in the opening of football academies in Myanmar over the years. With that, many young players have been identified, selected and trained under professional coaches. It’s all about investing in our youth system. 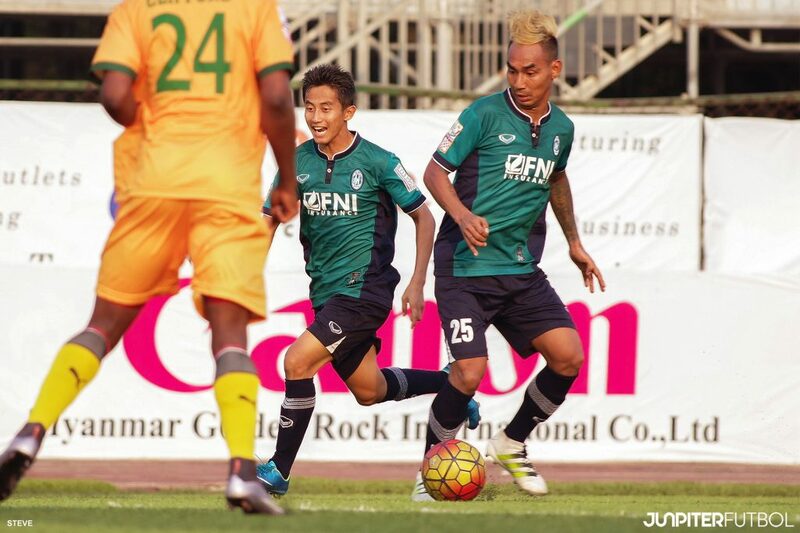 Particularly, the Myanmar Football Academy in Mandalay, it has been producing good players since opening. However, there is still an existing problem with Myanmar football – the lack of quality striker. Even if Myanmar can play better than other teams, you will not win the game if your striker is not scoring. JPF: If you are able to change one thing for the betterment of Myanmar football, what will that be? YAK: If I can change one thing, I hope that I can change the economy of our country to a better one. Because of our current bad economy, the government is concentrating all their resources in building the health and education sectors. Hence, football or other sports are suffering. We are not receiving any form of monetary support at the moment. Neighboring countries such as Laos or Cambodia are facing the same issue but the economy of their countries’ are improving gradually. So we should do something now. If not, we will not be able to catch up with the rest of our neighboring countries as far as sports, or football, is concerned. 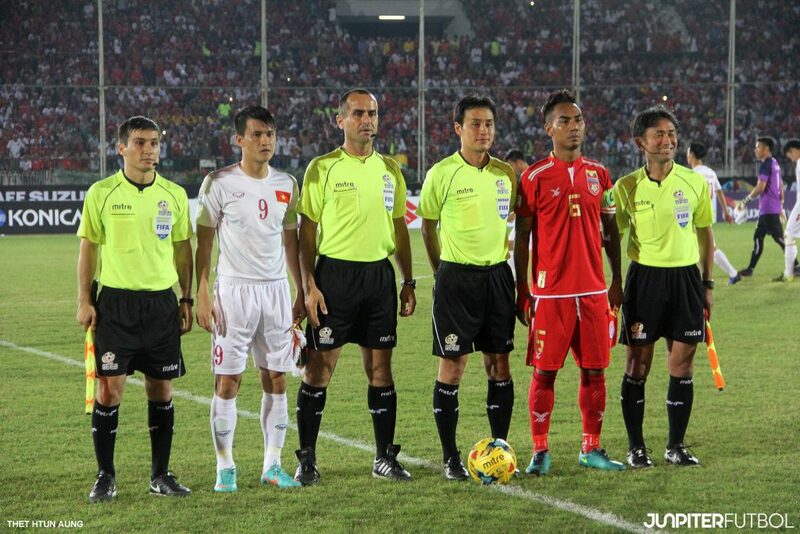 JPF: How do you think Myanmar will fare in the upcoming SEA Games? JPF: You have played against Singapore so many times, what do you think of Singapore? YAK: Singapore plays a very systematic and disciplined game. They always wait to pounce on our mistakes and this is always Singapore’s strategy playing us. In terms of playing level, I think that both Myanmar and Singapore are not that far apart. Sometimes, we play better and sometimes Singapore plays better. JPF: What is your football dream for Myanmar? And for yourself? YAK: We want to play in the Asian Cup in 2019. This is my football dream for Myanmar and also for myself. 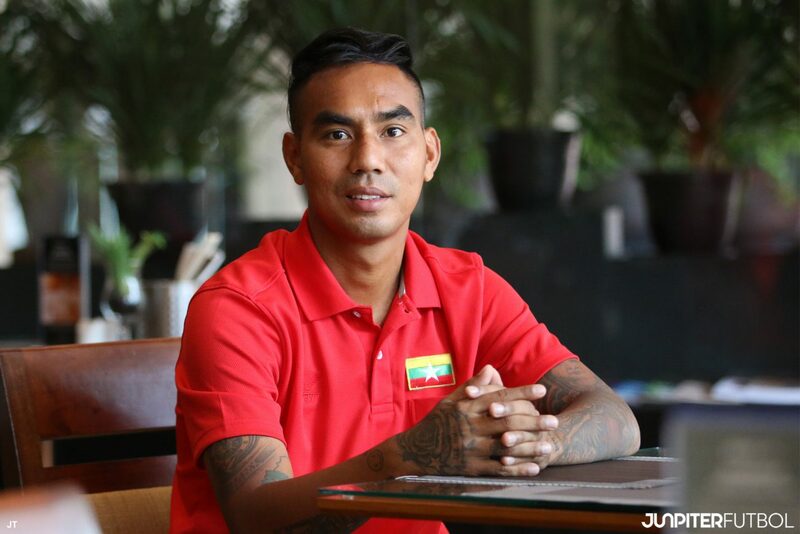 Exclusive Interview with Myanmar/Yangon United’s Kyaw Ko Ko, Click Here.